This article is part of a series on publishing in the Middle East which is sponsored by the Abu Dhabi International Book Fair. Anyone involved in the art of translation knows the delicate balancing act it entails: remaining faithful to the original text but allowing the work to stand on its own in its new incarnation. It also requires an intimate knowledge of the other culture. But when politics get in the way, the whole system breaks down, and translations can take on an entirely different meaning. Due to 60+ years of strife, writers from Israel and the Arab world do not often to translate the works of the other. Between the 12th and the 14th centuries, translations from Arabic into Hebrew and vice versa were frequent. Jewish poets and philosophers in Arab countries such as Maimonides, wrote first in Arabic; then translated their books into Hebrew. The 16th century North African diplomat and author known as Leo Africanus wrote a dictionary of medical terms in Arabic, Hebrew and Latin. Today, the 60-plus year conflict between Israel and Arab countries has impacted heavily on translations between the two Semitic languages, which are now viewed by many with mutual suspicion and distrust, often times the languages are learned primarily by the security apparatus in the various countries. The Israeli newspaper Ha’aretz recently printed an article about a Tunisian publisher in negotiations with Palestinian Israeli translator Tayeb Ghanayem for his translation of Israeli works into Arabic. The publisher did not wish to be named for his personal safety. A Lebanese publisher who also declined to be quoted will be bringing out an Arabic translation of a novel by Palestinian Israeli Sayed Kashua (who writes in Hebrew) next spring. Arab publishers remain discreet when publishing Israeli fiction or non-fiction, but they do publish. And mainstream Arab newspapers regularly publish articles from the Israeli press. In Israel, however, the situation is different. “On any given day, an Arabic reader can find some 20 articles translated from the Israeli press. It would be difficult for the Israeli reader to find one piece translated [from Arabic] every 20 days,” said Yael Lerer. Lerer founded the Tel Aviv-based Andalus publishing house in 2000, named in the spirit of the Andalusian period, when Arab and Jewish cultures co-existed peacefully. Andalus specialized in translating Arabic literature into Hebrew — Lerer felt that although Israel was located at the epicentre of the Arab world, Israelis were generally unexposed to Arabic literature and thought. She was able to get distinguished authors and poets such as the late Mahmoud Darwish and Mohamed Choukri, Hanan al Shaykh, Huda Barakat and Elias Khoury to agree to have their work published in Hebrew. And yet Lerer was recently obliged to stop publishing; Andalus was simply not selling enough books to stay alive. Lerer attributes this to a lack of interest on the part of the Israeli population. 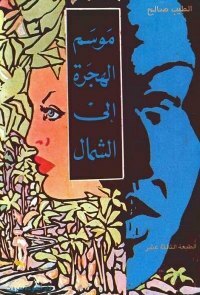 Between the 1930s and the year 2000, said Lerer, only 32 novels were translated from Arabic into Hebrew. The now-defunct Mifras publishing house (1978-1993) published nine literary works from Arabic to Hebrew, Lerer managed to publish 18 works of Arabic literature in seven years. One of these translators is Rina Plesser, a retired high school principal who translated for Lerer. Plesser’s parents were Jews from Syria; her father was the editor of an Arabic-language newspaper and translated the late Sudanese novelist Tayeb Saleh’s Season of Migration to the North into Hebrew. Plesser grew up speaking mainly Hebrew but she heard Arabic at home, and went on to study Arabic at university. As in the case of Plesser, translators of Hebrew to Arabic tend to be Jews who came to Israel from Arab countries, as in the case of Baghdad-born Sami Michael, who translated Naguib Mahfouz’s trilogy in the 1980s. But Palestinian Israelis also make up a large part of these translators, often translating back and forth from both languages. They have the added advantage of having an intimate knowledge of both cultures, an essential ingredient for a good translation. One of the best-known translators is Anton Shammas, now based in the US, who translated Emile Habiby’s The Secret Life of Saeed, the Pessoptimist, a satirical novel about the life of a Palestinian Israeli. Palestinian author and translator Ala Hlehel, who was featured in Israeli filmmaker Nurith Aviv’s “Translate”, the final segment of a documentary trilogy on Hebrew and linguistics, translates in both directions. 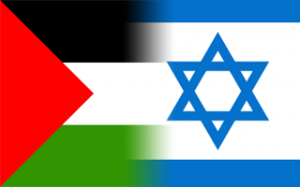 Another way that politics hinder Arabic and Hebrew translations is the concept of “normalization” between Arab countries and Israel or between Palestinians and Israelis. Many Arab intellectuals and authors, a large part of them Egyptian, refuse to sell their rights to Israeli publishing houses. This often leads to piracy as in the case of Alaa al Aswany’s bestseller, The Yacoubian Building. Understandably, al Aswany was furious. But the same question of piracy in the name of “culture” also occurs in Egypt. Egyptian Nael Eltoukhy, an author and translator who studied Hebrew at the Cairo Ain Shams University, says he translated a book by Israeli historian Idith Zertal without her permission for the independent Egyptian publisher Dar Merit. “Translating Israeli literature and writings in itself is not a taboo. The taboo is any dealing with Israeli publishing houses, since this is considered “normalization with the enemy”. But you always have your options. One of them is illegal translation, which is the best of a bad solution. I am sorry for this but I (and others), don’t have any other options.” Said Eltoukhy. In 2009 Eltoukhy, who has translated from Hebrew several books and a collection of poetry, began a blog in Arabic dedicated to Israeli literature. He adds new texts to it weekly, and so far has translated some 100 Israeli authors, albeit for the most part without their permission. Gaining knowledge about the other culture is essential for Ramallah-based Madar, the Palestinian forum for Israeli studies, which has a translation and publishing unit. Honaida Ghanim, a Palestinian Israeli with a PHD in sociology from Hebrew University is Madar’s director. Madar buys the copyright from Israeli publishers and generally puts out four books a year translated into Arabic, which are sold at the center as well as being distributed via an agency. 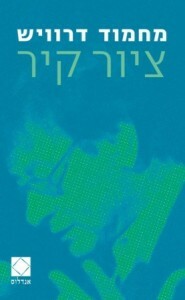 Madar publishes primarily political and sociological books and on occasion fiction, such as Oz Shelach’s short stories. For further reading please take a look at this survey of Hebrew-Arabic translation in modern era. DISCUSS: Does Translation Have the Power to Change the World?